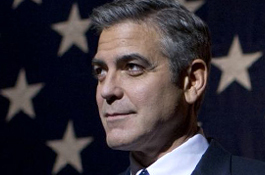 Clooney hasn’t really done politics as much as it feels like he has over the years, and this is by far the closest he’s come to playing a president. 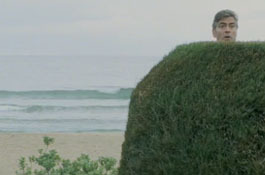 Charming, confident and sporting meticulously coifed hair, this is George on (admittedly very watchable) auto-drive. The latest in a recent spate of ‘more challenging’ roles (The American, Michael Clayton, Spy Kids 3D) sees Clooney play a devoted husband and father — LOL HE’S A BACHELOR IN REAL LIFE — with all sorts of challenging emotional problems and familial issues. It’s quite literally his best performance in a while. This is a Clooney joint, suckaaa. 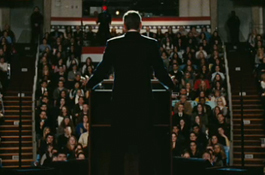 Ides is his fourth directorial effort after Confessions of a Dangerous Mind, Good Night and Good Luck and Leatherheads (lol wut?). And while it’s hardly revolutionising the world of political drama with its tale of sacrificed ethics and systemic corruption, you certainly can’t deny that it’s ENTIRELY COMPETENT FILMMAKING. 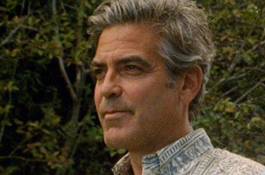 The Descendants is not only Clooney’s first collaboration with indie darling Alexander Payne, it’s also the first movie since 2004 on which he hasn’t had a producer credit. And I don’t just mean movies he’s been in, I mean all movies released within that period worldwide. For shame! Ryan Gosling’s third at-least-halfway-decent leading role this year sees him one-upping his spiritual father George on pretty much every front, even when it comes to his ability to gain access to lady parts. Stay off his patch, Gosling! Elsewhere there’s good work from Philip Seymour Hoffman, ‘the other Philip Seymour Hoffman’ Paul Giamatti and of course Evan Rachel Wood as The Helpless Victim. As soon as I saw Matthew Lillard’s name on the cast list for The Descendants I figured it had its supporting cast on lock, but what I wasn’t prepared for is the fact that Lillard is apparently now an Old Man in Hollywood. Just seven short years after he made us laugh, cry and ask for our money back in Without a Paddle, he’s playing a walking mid-life crisis with a hairline receding into the distance faster than my memory of She’s All That. Bam! There we have it. Well, there we have something vaguely resembling it.